United States Army Rangers are elite members of the United States Army. 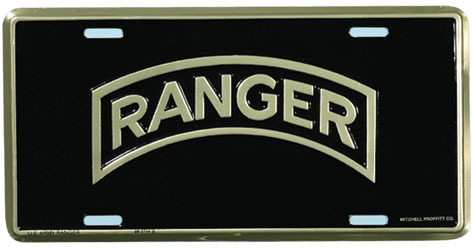 Rangers have served in recognized U.S. Army Ranger units or have graduated from the U.S. Army's Ranger School. The term "Ranger" was first used in North America in the early 17th century; however, the first ranger company was not officially commissioned until King Philip's War (1676) and then they were used in the four French and Indian Wars. Rangers also fought in the American Revolution, the War of 1812, and the American Civil War. The six battalions of the modern Rangers have been deployed in wars in Korea, Vietnam, Afghanistan, and Iraq, and saw action in several conflicts, such as those in Panama and Grenada. Of the current active Ranger battalions, two—the 1st and the 2nd—have been in service since reactivation in 1974. The 3rd Ranger Battalion and the headquarters of the 75th Ranger Regiment were reactivated in 1984. The 75th Ranger Regiment is now a light infantry combat formation within the U.S. Army Special Operation Command (USASOC). The Ranger Regiment traces its lineage to three of six battalions raised in WWII, and to the 5307th Composite Unit (Provisional)—known as “Merrill's Marauders,” and then reflagged as the 475th Infantry, then later as the 75th Infantry. The Ranger Training Brigade (RTB)—headquartered at Fort Benning, GA—is an organization under the U.S. Army's Training and Doctrine Command (TRADOC) and is separate from the 75th Ranger Regiment. It has been in service under various names and Army departments since World War II. The Ranger Training Brigade administrates Ranger School. Successful completion of this 61-day course is required to become Ranger qualified and to wear the Ranger Tab.